I've recently painted the kids rooms all white (they were mostly pink and grey before) and have given them a bit of a freshen up. They look so much brighter and cleaner now, plus it's so easy to just touch up or give them another coat when everything is painted the same. I've bought a couple of new prints for their rooms, but the walls still looked a bit bare after the colour had been taken away. So when I was asked by Tiger if I would like to style something for my home, I thought it would be a good opportunity to brighten up their bedroom walls with some accessories and storage. 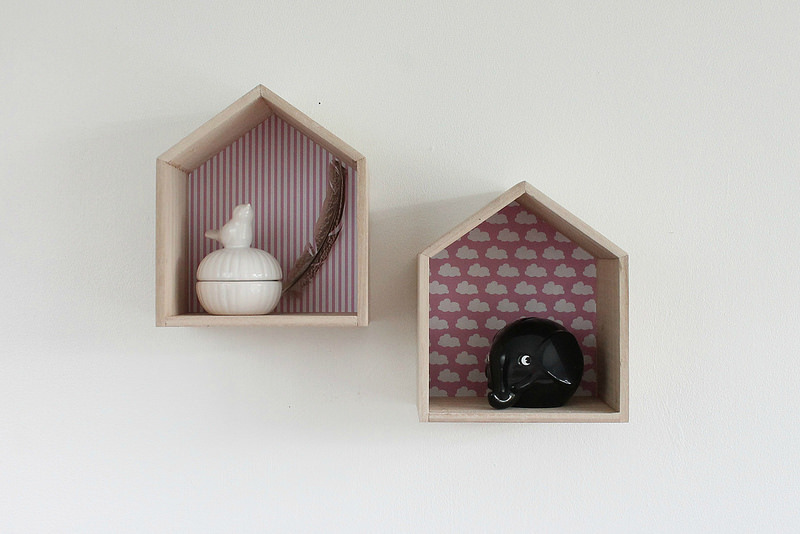 I loved these little house shelves above, which I used in Elizabeth's room. I stuck some patterned paper behind as she still wanted to keep a little pink in her room. I think they'd look pretty painted different colours on the inside too! 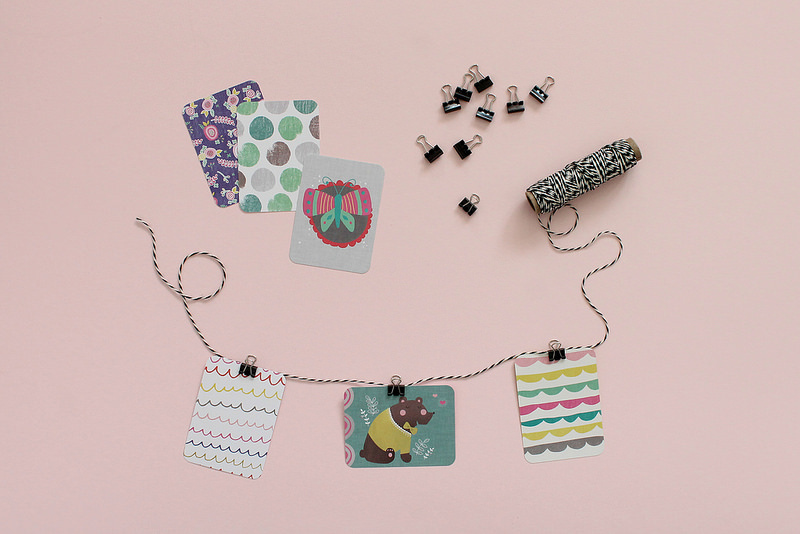 I used these foldback clips to make some little garlands, one for each of their rooms. I used some project life cards here, but they can choose and attach their own bits and bobs like photos, drawings, postcards or special tickets. 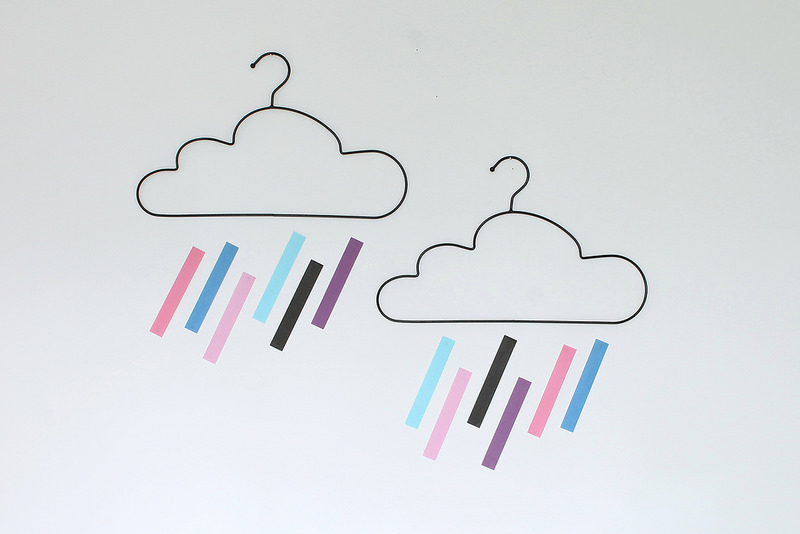 I love these cloud hangers, and simply hung a them as a wall decoration in Elizabeth's room. I added a few paper chain strips underneath to look like rain falling. These printers trays are the kids favourite. 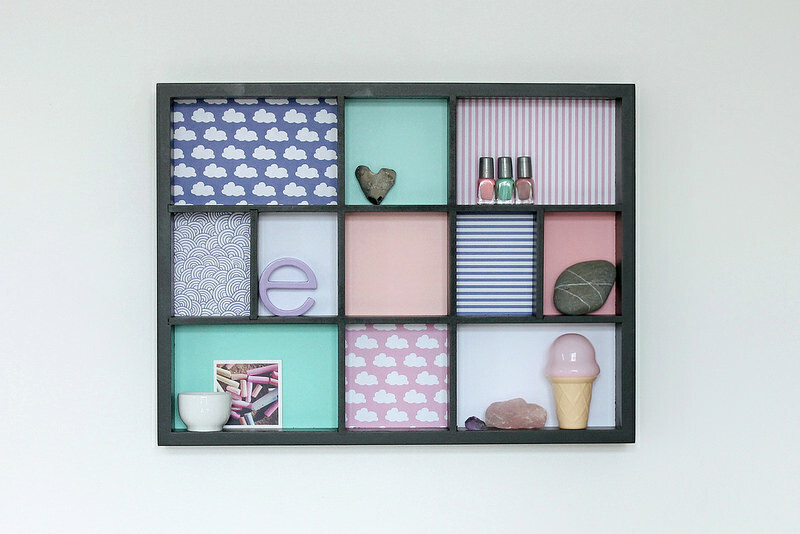 The back comes off, just as a frame would, so it was really easy to customise them with different papers to fit with their rooms. 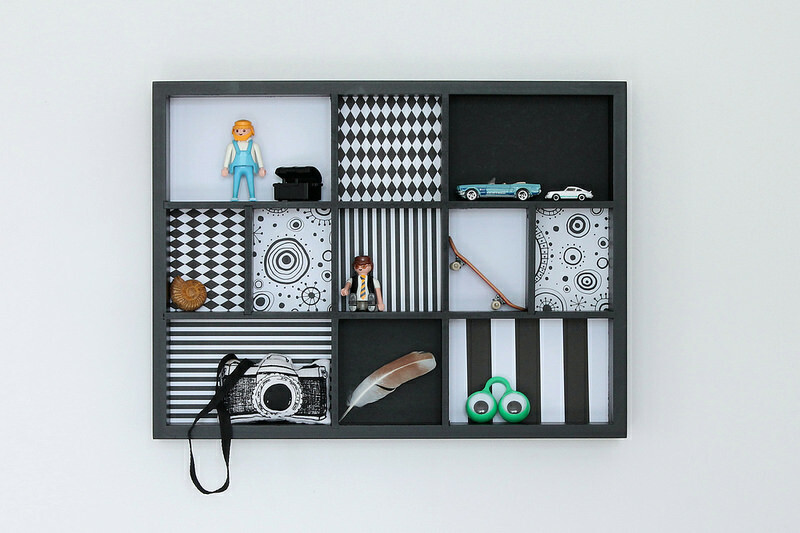 They're a perfect place for them to show off any special toys or treasures they've found. Those cloud hangers are pretty cool, and I love the little houses, they look so nice with the patterned paper at the back.